The first Melbourne street style blogger to showcase her look on Chictopia was fashionfake in Spring 2008. She wore her black Secondhand blazer blazer with a blue Secondhand scarf, leaves scarf, gray Sportsgirl prada-knockoffs, two-tone socks socks, and beige SUPRÉ t-shirt dress dress. 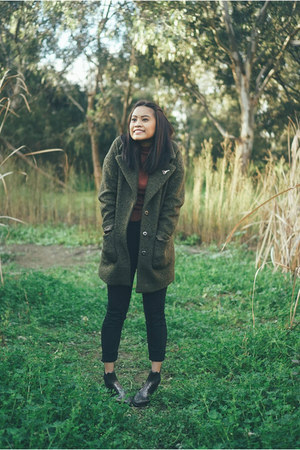 Since then, 1152 Melbourne street style bloggers have uploaded over 3847 photos of their personal style to the community. Popular brands worn in Melbourne include Zara, thrifted, romwe, and asos. In summer 2015, blogger Chloe_t of chloeting.com wore her Factorie denim boyfriend jacket on Chictopia.